Punxsutawney Phil predicts it'll be an early spring, but Chuckles predicts it'll be six more weeks of winter. I guess even in the groundhog community no one can agree on the weather. All I know is that it's winter right now and I needed a flavor pick me up reminiscent of warmer days. Then I recalled my frozen berry bundles from summer. They were just what the doctor ordered. 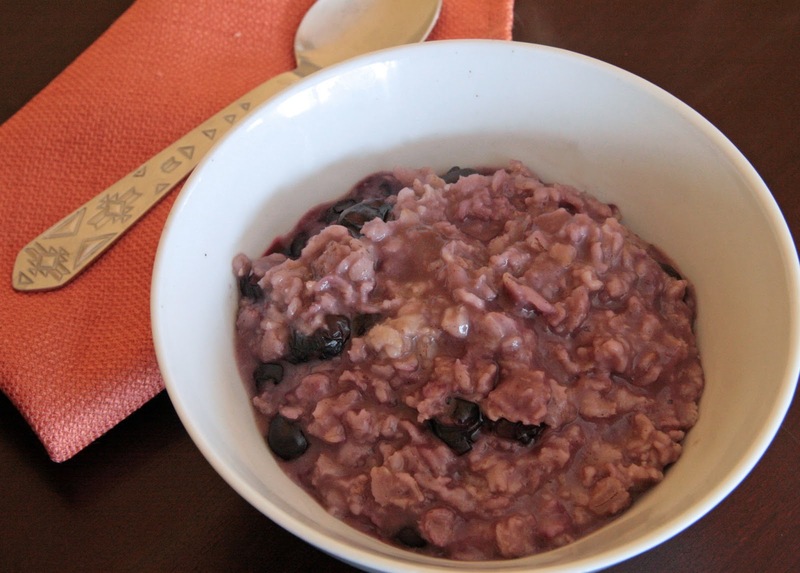 Oatmeal is a staple weekday breakfast in our household, but adding some frozen berries elevated it from every day to special day. Add the oats, cinnamon, maple syrup, vanilla extract, salt and maple syrup. Cook for five minutes, stirring occasionally until nearly all the water is absorbed. Add the berries and milk. Cook for another five minutes, stirring occasionally so noting sticks to the bottom of the pan. When the oatmeal is thickened. Remove from heat, cover and let is sit for another five or so minutes.